Illinois schools will soon have to publicly report and be evaluated on a new performance measurement: chronic absence. But researchers and superintendents have raised questions about whether or not that data will be meaningful or fair. 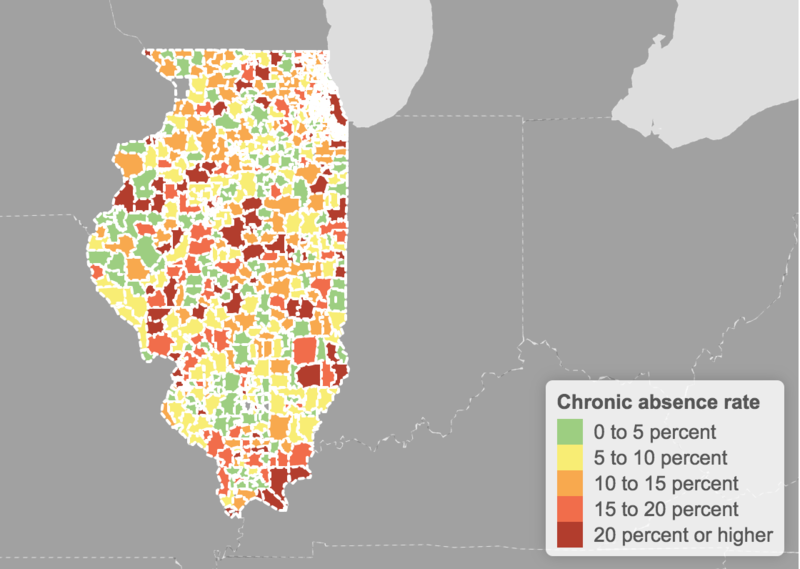 In Illinois, chronic absence is defined as missing 10 percent — or 18 days — of a school year for any reason, including suspensions, unexcused and excused absences. Nearly a quarter of Illinois high school students missed three or more weeks of school during the 2015-16 school year, according to data collected by the U.S. Department of Education. Nationally, data shows the number of chronically absent students is on the rise — up from about 7.2 million in the 2013-14 school year to nearly 8 million students in the 2015-16 school year. The metric is a new way to measure school performance in Illinois. Experts on chronic absenteeism and its effect on students say it is a more meaningful measurement of attendance, and a tool that can be used to boost academic achievement and prevent dropouts. The problem, researchers point out, is that Illinois has no statewide definition for what counts as a day of attendance. Under the Every Child Succeeds Act (ESSA), the federal law that supplanted No Child Left Behind, states are required come December to report chronic absenteeism rates. Illinois — along with 35 other states and D.C. — will also use the data as one of five measurements of school performance under ESSA. Jackie Matthews, a spokesperson for the Illinois State Board of Education, said chronic absenteeism as a measure of accountability will contribute to each school’s “summative designation.” In other words, it will be used to determine whether a school is exemplary, commendable, underperforming or lowest-performing. Rates of chronic absenteeism will also be added to the Illinois School Report Card as of Oct. 31, according to Matthews. “Frankly, I have some mixed feelings about that,” said Lindsey Hall, superintendent of Mahomet-Seymour Community Unit School District 3. The central Illinois school district showed a 32 percent chronic absenteeism rate for the 2015-16 rate, according to data reported by the district to the U.S. Department of Education Office for Civil Rights. That means roughly a third of Mahomet-Seymour students were absent for 15 or more school days that year. Matthews said the the state’s Attendance Commission, which was created to study chronic absenteeism, is weighing whether or not to recommend a statewide definition for a day of attendance. 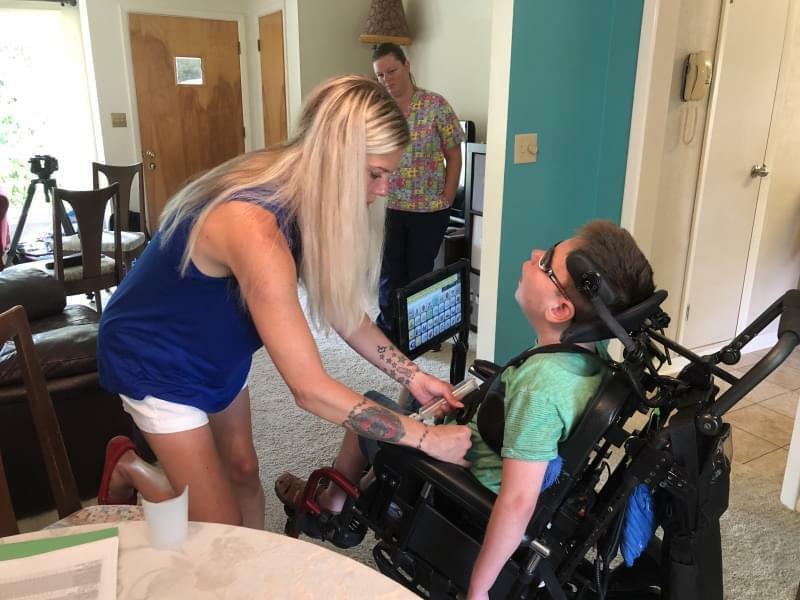 Whether or not in-school suspension should count as a day of attendance is hotly debated by school administrators, Owen said. While he said Urbana does not count a day of in-school suspension as a day of attendance, other districts do. 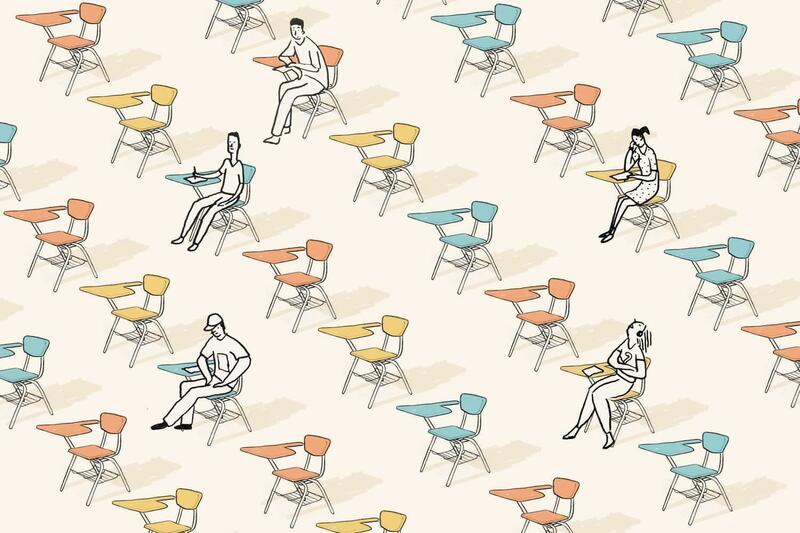 “We still think these are probably a low estimate of the number of chronically absent students until we have improvement in data collections across the board,” Bauer said. Hedy Chang, executive director for Attendance Works, the group that compiled a report using the available federal data, said she’s happy that the issue of chronic absenteeism is at least being exposed thanks to the new ESSA requirements. “My main hope was we at least had it in the accountability system so people started looking at this, because they’ve been looking at the wrong metrics for years,” she said. Historically, school officials and administrators have focused solely on average daily attendance and truancy. A school can still report an average daily attendance rate well into the 90th percentile even though a significant portion of its students may be missing three or more weeks of school per year. Truancy, on the other hand, only measures unexcused absences, and does not take into account excused absences or suspensions. Chronic absenteeism isn’t just a measure of attendance, Chang said, it’s also a tool that can be used to identify students before they fall behind in school, or worse, drop out. Research shows that chronic absenteeism is associated with higher drop-out rates, lower post-secondary enrollment and lower test scores. The impact is most profound for students from low-income backgrounds. “This is why this (data) is powerful because it helps administrators and people who want to to do dropout prevention strategies,” Bauer said. Chang said the causes of chronic absenteeism fall into four categories. They range from issues associated with poverty, like lack of transportation and unstable housing, to negative school experiences, like a fear of being bullied. Additionally, Chang said, chronic absenteeism can also stem from lack of engagement, including boredom, and the misconception that missing school just isn’t that big of a deal. She said schools can address the issue effectively if they understand what’s causing the absences and find ways to address it. “I think there’s a huge challenge afoot for this work,” Chang said. Aside from a lack of consistency in the data, there’s also the question of whether or not superintendents will use this data to inform absence prevention strategies, she said.